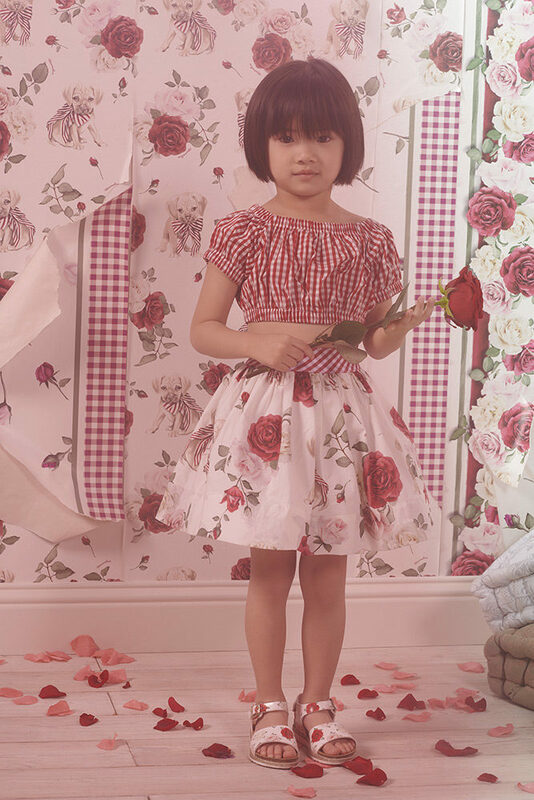 Monnalisa, an international leading company in exclusive childrenwear was set up in Arezzo in 1968. It is now being distributed in over 50 countries, both in flagship stores (Milan, Arezzo, Florence, Forte dei Marmi, Rome, Catania, Terni, Barcellona, Madrid, Baku, Astana, Moscow, Sidney, New York, Chicago, Los Angeles), and in the most prestigious department stores worldwide, besides 1,000 multibrand boutiques with a turnover of € 36.5 million in 2010 (vs. € 31 million in 2009) with a sales target of over € 42 million for 2011, export accounting for 47% of total production. A constant quest for top quality and innovative fashion contents goes alongside with remarkable investments in research and development, great social and environmental responsibility and compliance with SA8000 standards.